Jeffersontown Carpet Cleaning, Upholstery Cleaning, Tile & Grout Cleaning, Window Cleaning, Gutter Cleaning, Pressure Washing, Oriental Area Rug Cleaning. Do you need a reliable company to assist with your carpet, upholstery, tile, oriental rug, gutter, windows and pressure washing cleaning needs? You are in the right Place! Rodriguez Cleaning Services is a well–qualified residential and commercial Carpet Cleaning company that provides a high quality services throughout Jeffersontown Kentucky and surrounding areas. 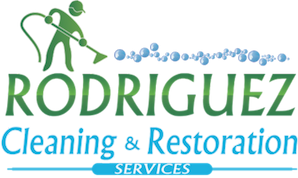 Contact Rodriguez Cleaning Services today for a Free Estimate! Rodriguez Cleaning Services is a professional Carpet Cleaning company in Jeffersontown, KY that provides Cleaning services such as a Deep Carpet Cleaning, Fine Fabric and Upholstery Cleaning, Tile and Grout Cleaning and Oriental Area Rugs Cleaning as well as Carpet, Upholstery and area rug Protection ( Scotchgard ) and maintenance programs in Jeffersontown Area. Our certified Carpet Cleaning technicians will ensure that you receive the most thorough cleaning ever or it is Free ! Rodriguez Cleaning Services uniformed technician will offer you the best experience you ever received from a window cleaning company in Jeffersontown, KY. Starting with the plastic booties that all the technicians will wear in your home. Our Cleaning process goes above and beyond of all your expectations. Your windows will be hand washing with a T applicators and squeegees. Every ladder that we use in your home will have rubber protectors on both ends of the ladder to protect your floor, wall and windows. As Part of our window cleaning services in Jeffersontown, KY we also offer screens, windows sills, chandeliers, light fixture, ceiling fans and mirrors cleaning. Let Us take of you and you spend time with your family. Our highly trained technicians will take care of all your outside Gutter cleaning concerns in Jeffersontown Area. Whether is Cleaning the gutters or pressure washing your home on the outside. We ensure that our technicians will do a phenomenal work to make you see that you have chosen the best company in Town. Don’t get on those ladders to clean your gutter. Don’t take the risk that something happen to you and be out of work for weeks or months. Let us handle your cleaning and you sit back with your family while we take care of you. Rodriguez Cleaning Services is a certified commercial Carpet Cleaning company in Jeffersontown, KY that specializes in a wide range of commercial services. Our commercial technicians handle everything from commercial carpet cleaning and upholstery cleaning in the inside to commercial Window cleaning and pressure washing in the outside. Contact Rodriguez Cleaning Services and let us ensure that your commercial Building is receiving the highest maintenance service possible.